The 6TP-335 is yet another example of Toshiba design at its best. What an eyeful! Although a couple of sets found their way abroad over the years, I've yet to see any evidence that suggests the model was officially exported under the Toshiba brand name. 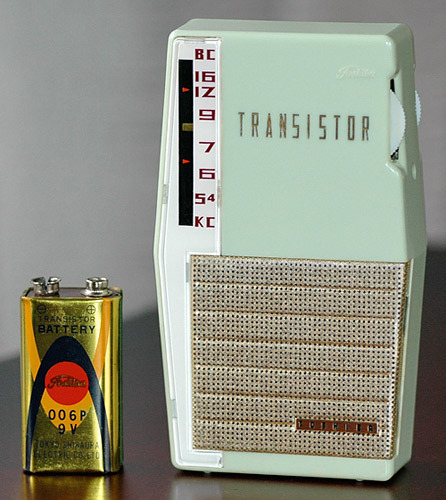 Granted, it did appear in the New Zealand market, but under the 'Clipper' brand name and labelled with a different model number. This is because protectionist import regulations in place at that time demanded that radios be assembled locally.